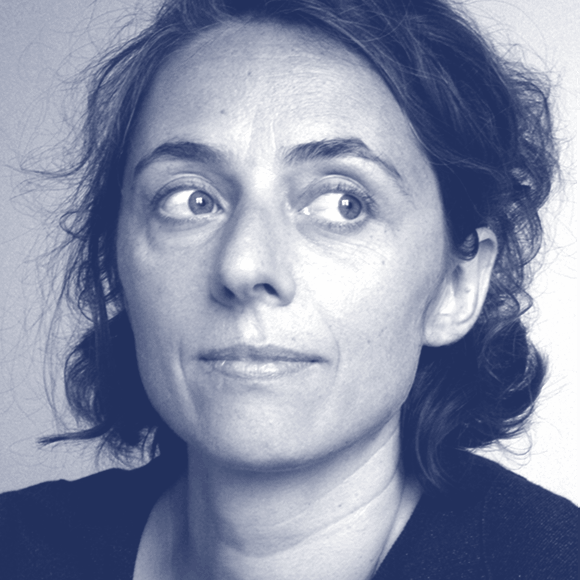 Sandra Chamaret co-directs the graphic design studio Grand ensemble since 2005 and operates in the areas of global identity, museum identity systems, signage and publishing. Deeply concerned about how information is transmited to the public, she is particularly interested in visual heritage issues (graphic, urban and architectural), mediation (artistic, social and cultural), information design and research (historic and scientific). In 2010, she co-wrote the monograph “Excoffon and Olive foundry”, a historical and critical research about the typographer which also resulted as a traveling exhibition. Engaged in the development and dissemination of her profession, she served as board member of Rencontres internationales de Lure for seven years, animating and programming lectures on graphic design and typography at the Anatome gallery (Paris). From 2013 to 2015, she initiated and co-designs the typographic culture annual publication “Après\Avant” (editorial and art direction). In parallel, she teaches graphic design in the multidisciplinary workshop of visual didactics of the Haute école des arts du Rhin since September 2011 (ex. Arts Décoratifs de Strasbourg). In 2016, she founded the publishing house of -zeug (books + exhibitions – Design + typography).